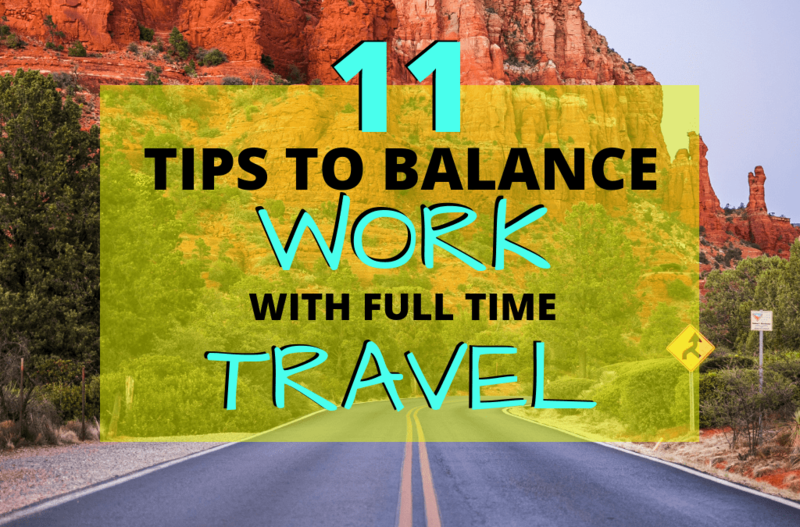 Whether you are dreaming of a lifestyle of full-time travel or you’re already doing it and struggling to stay on task – these 11 Essential Tips to Balance Remote Work with Travel are a must read. When you travel full-time you constantly find yourself in new places with new adventures and experiences to be had, and if you’re not careful you’ll run your new business straight into the ground! You have to be able to discipline yourself and set limits for working, relaxation, pleasure, and adventure. It is essential to get real with yourself and figure out what time of day you are most inspired and productive and what kind of environment will contribute to that. Unless you are working a job with set hours, understanding your best times and using that to your advantage will allow you to get exponentially more work done and in less time. Adding in the perfect environment to that will make you a productivity powerhouse. 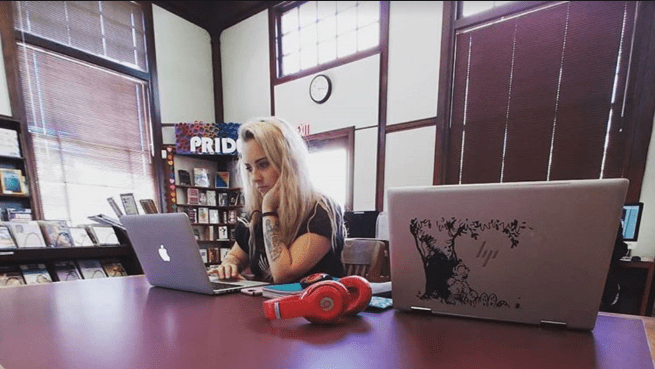 Of course, there will likely be times you will end up in a noisy coffee shop or stuffy library and that’s okay, make sure to schedule the bulk of your work when and where you will get it done the most efficiently. If you’re working online, I’m going to go ahead and assume that you aren’t going to get any work done if you’re not connected to the internet. 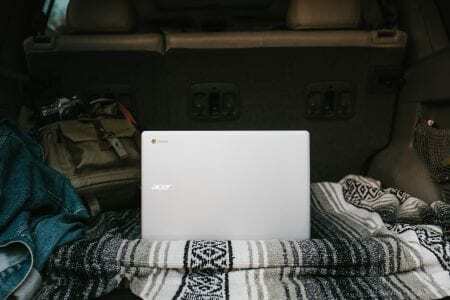 This is probably the number one priority for working remotely while traveling. Oh yeah, don’t forget a back-up plan. Depending on your connectivity needs, this is going to require some careful research and planning. 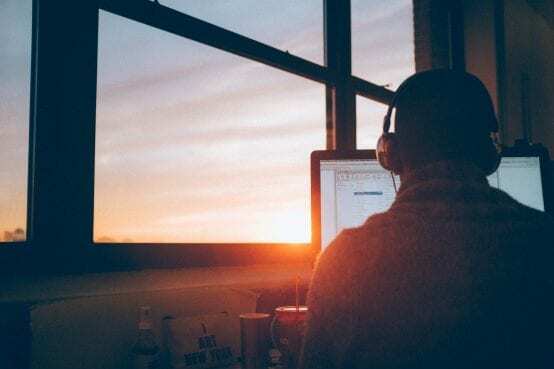 Being a digital nomad means being creative in more than just your career pursuits – you’re going to have to learn to adapt in stressful situations and find back up plans for your back up plans in case they happen to fail. Google coworking spaces near your destination, coffee shops with free wifi, public libraries and so on. If you tether from your phone, use an app like Open Signal to check for coverage (it also shows free wifi hotspots) or see if you can find reviewers from travelers before you. Whether you listen to music while working, white noise or you prefer dead silence, I cannot stress enough the importance of a good pair of headphones. Preferably noise canceling for those who need silence or are easily distracted! Personally, I either listen to binaural beats or total silence to work most efficiently, and I would be lost without my headphones. Small noises will drive me crazy and the ability to have noise canceling headphones makes all the difference in the world for me somedays. My headphones have saved my life and probably those of everyone around me on days where I’ve found myself trying to reach a looming deadline in the noisiest coffee shop on the planet. It’s the 2018’s and our world is becoming more and more automated every day, use it to your advantage! Depending on your job type, just think of how much time you could save if the mundane tasks of things like updating/growing your social media channels was already taken care of. Schedulers to help you stay consistent with your posting and automated apps for Pinterest can help ensure that your web presence stays consistent and your business keeps growing on Social Media day after day with minimal work to keep them running. Be sure to schedule yourself some days completely off. 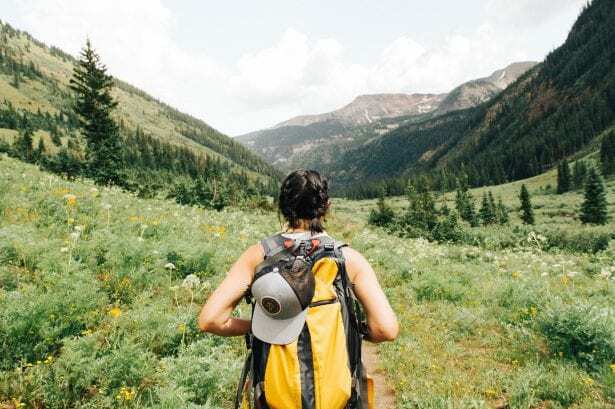 I know firsthand how easy it can be to find myself working constantly, even when I’m out on a hike or at the store and in the moment, I don’t even realize what a bad work-life balance that is. Be sure to give yourself time to be completely detached from your work, go out and have adventures and even go off grid. You will be happier and come back to work more refreshed – no one wants to deal with burnout. 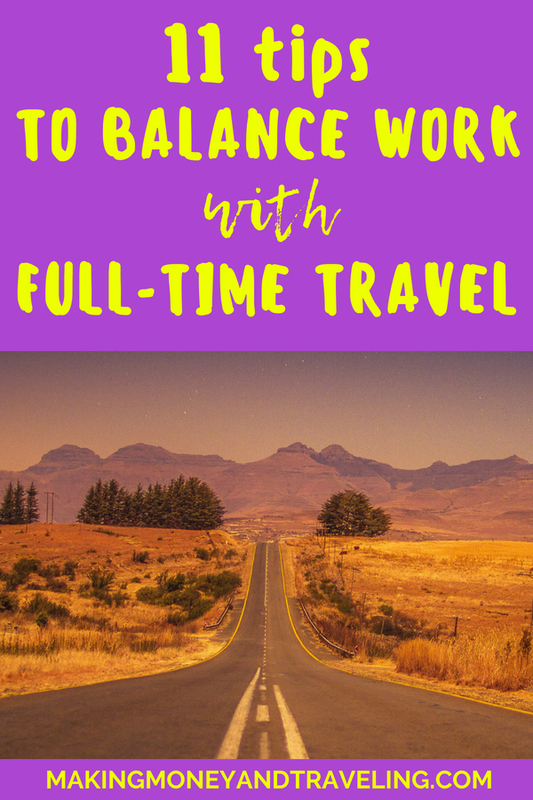 This seems counterintuitive and can even be really hard when you’re traveling full-time, but I promise it’s do-able! Developing a routine can just mean that you get up at certain times, only travel on certain days, only adventure on certain days, only do laundry on certain days, etc. Develop your work routine around your most productive times, for obvious reasons. 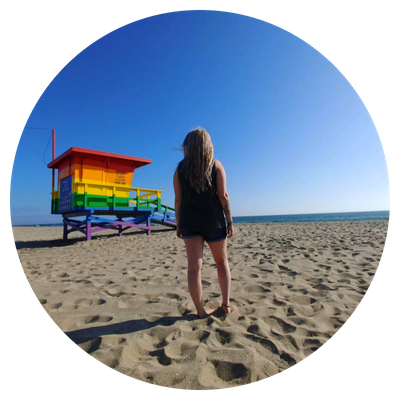 The beauty of traveling full-time means you can also schedule your adventures during the times of week where there are likely to be less people out… And if you’re an introvert like me, that’s the dream! Set boundaries for yourself and your work schedule and guard it with your life! Seriously, make sure your friends and travel partners know that you are serious about your work and need to do certain things at certain times. Peer pressure and FOMO (fear of missing out) can cause you to slack off on things you really want or need to get done and then feel disappointed later. No matter how bad the FOMO, discipline yourself and guard your work schedule. 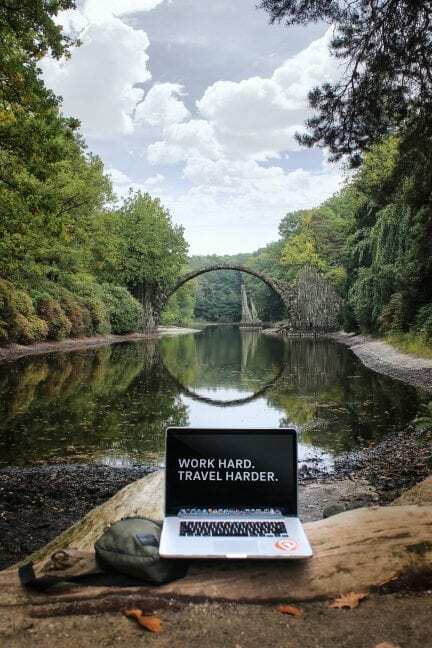 For those days where you aren’t trying to meet a stressful deadline or just have a light workload and can complete it on the go, it can be exhilarating to try working in new locations! A coffee shop, an internet cafe, on the train… You name it. When I first started RVing, I thought I would want to travel every 2 or 3 days, so I could see as much as possible as fast as possible! I was also starting a brand new freelancing business from the ground up, and for some reason, I thought I could do it all and do it fast… Oh, sweet, naive 1.5-year ago me. TRAVEL. SLOWER. Seriously! Nothing is more overwhelming than traveling fast – trying to see all you want to see, book and plan the traveling itself AND getting work done… There are only so many hours in a day! Once you start, you will get an idea of what works best for you. Personally for me, the slower the better. I like to spend anywhere from 2 weeks to a month or longer in any location! This gives me time to get my work done and really explore the location I’m in and a couple hours in each direction. I really like to immerse myself in a new place and traveling as slow as possible allows me to do so and really feel at home. We all have tasks that we hate doing – why don’t you try outsourcing a couple? Once you get to a point in your business where you’re making enough money and you have too many things to do in a day, outsourcing smaller tasks that you aren’t in love with is a great way to free up some of your time. Outsource on websites like Upwork or Fiverr or even offer the job to a friend, you’ll be glad you did! The whole point of transitioning into a remote work and travel lifestyle is so that you can see the world… right? Make a business that works for you, not the other way around! A lifestyle business simply means you have a business that doesn’t interfere with your lifestyle, in fact, it adds to it! An inspirational read on this subject is The Four Hour Work Week by Tim Ferriss. This book inspired my jumping in with both feet, and I’m sure it’ll inspire you too! 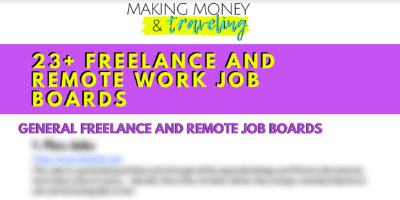 Whether you’re building an online business or working remotely with your employer, you deserve a life and a schedule that make you happy. It would defeat the purpose of pursuing a freedom lifestyle if you had a business or a schedule that made you feel miserable and trapped! If you don’t feel happy or you’re overwhelmed – something has to change. The good news is the internet is full of resources and if you want it, you can do it! What challenges or questions do you have about balancing a remote work schedule with traveling?